Danny Connor: Don’t Be Surprised If I Stop Evangelou This Time. This coming Saturday Southern Area Light Welterweight Champion Danny ‘Cassius’ Connor defends his coveted crown at the Matchroom Sport promoted ‘Betfair London’s Finest’ event at the Wembley Arena. Connor is very much the modern‘Cinderella Man’ on the domestic boxing scene, having lost four out of his first five fights, drawing the other, before turning his career around in May 2011, with a close fought victory over Duane Grimes at York Hall in London.A turnaround the Hackbridge, Surrey man puts a hundred percent down to his coach, Alec Wilkey, and the World class sparring at his home gym, the TRAD TKO Boxing Gym in Canning Town. Since that career changing win, Connor has won six out of seven bouts, including winning both the British Masters Welterweight title, by a close 96-95 points victory over Tyler Goodjohn. Then four months later causing a major upset, with the sensational against the odds victory over previously unbeaten Chris ‘The Flash Evangelou,for the Southern Area strap, by a resounding 98-94 points margin. Connor’s opponent on Saturday night will once again be the aforementioned Chris ‘The Flash’ Evangelou, something that clearly pleases Connor, who responded to comments from the Evangelou camp saying. “I’ve not much to say really, I won the first fight, won it by four rounds. I thought I’d won the fight pretty handily so I don’t see what he has to complain about. This time around it’ll be pretty much the same thing, but I’m a lot more fitter this time, a lot more healthier than I was last time so don’t be surprised If I don’t go for a stoppage this time, we’ll see what happens. 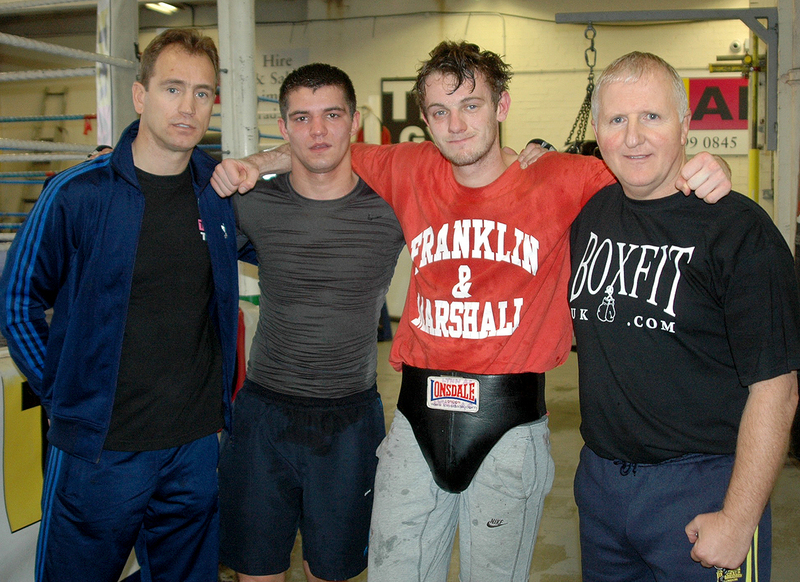 Been doing a lot of sparring, you get the best sparring here at the TRAD TKO, been sparring with Darren Hamilton, Billy Morgan, Tommy Martin, done a few rounds with Anthony Upton and a few of the other new boys up here. As I said you get the best sparring up here so there’s nothing that he’s going to have in his locker to have the upper hand on me. I’m going to retain the Southern Area title on Saturday, after that I have been told that I might have a spot in Prizefighter. I’m also considering moving to Lightweight, if I win a title at Lightweight then I’ll have a title at Lightweight, Light Welterweight and Welterweight, which would be nice, wouldn’t it. To my fans, thank you for your awesome support. Tickets, priced £40, £60 and £80, for the Matchroom Sport promoted ‘Betfair London’s Finest at Wembley Arena on Saturday 9th March, are on sale now at www.tkoboxoffice.com or direct from Danny Connor at the TRAD TKO Boxing Gym, Gillian House, Stephenson Street, Canning Town, London E16 4SA.